There are no hard and fast rules when it comes to decking out your cabinetry. In fact, it’s easy to let your personality shine through with hardware. There are many styles, finishes, and sizes to choose from, so you can switch it out whenever it suits you. 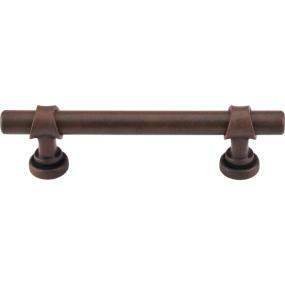 Plus, it’s an affordable way to change the look of your space with new knobs or pulls/handles. The fun part will be visiting the ProSource Wholesale® showroom. Our team will be happy to show you all the cabinet bling with which you have to play. Not only will it inspire your design, it’s a great way to discover which hardware is the best ergonomic fit for your home. Because the tactile aspect of your hardware is just as important as how it looks. First, take a few minutes to consider the following questions. Do you have something specific in mind, or do you like to keep it casual? Do you prefer a traditional, transitional, modern, rustic or an eclectic vibe? Materials and texture: What’s your fancy? Metal, wood, ceramic, glass? Smooth or rough finish? Color: Do you want your hardware to blend or contrast with the cabinets? Do you want it to match other fixtures or the appliances? Is a combination of colors your preference? Shapes: Have you considered whether you want a linear, round, square, rectangle or numeric shape? Touch: Do you prefer handles/pulls or knobs? Like a combination? Do you want something with weight or a light feel? Placement: Do you prefer vertical or horizontal positioning for handles or pulls? Upper or lower corners? Center? Spacing and depth: Could your hardware block or bang into anything, like an appliance? Will it be easy for everyone in your family to use? You are the best person to answer these questions. Then you can finely tune your cabinet hardware strategy. Oh, don’t forget about the hinges. These gadgets don’t just hold your cabinet doors. Soft-close hinges keep your spaces quiet while protecting your cabinets from damage. 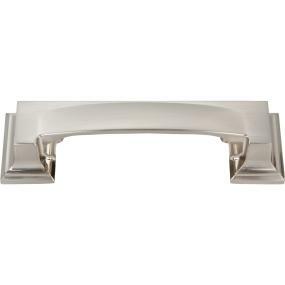 Remember, hardware is an inexpensive way to add personality to your cabinetry. You can be as creative as you wish, or reduce stress by keeping your selection simple. The choice is yours. We are always in pursuit of new types and styles of hardware. 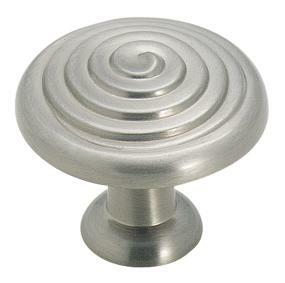 Review inspiration and the online catalog of cabinet hardware. Find the look you desire, and add the images to the myProSource Project Center to share with your friends and, of course, your trade professional.